To get started, take a look at this gallery of images related to setup, bowhold, and simple solutions for teachers and students. Many folks hold their writing implement in crazy ways that don't support their joints well- take a look at your students' holds if you notice a general issue transferring to the music lesson. 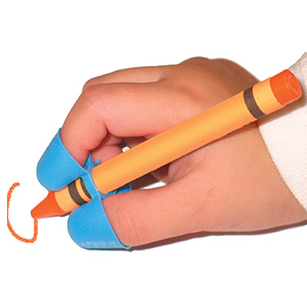 This is called the writing claw and can help children learn the fine motor skills to hold a crayon/pencil/etc. In using my hand as a model, keep in mind that I'm not as hypermobile as many people. In this picture, you can see my ring finger and pinky struggling to stay bent. This is a normal amount of mobility that I often encounter-a student can't fully articulate the two joints of the pinky and one flattens out. It can be hard to get sustainable power, LH articulation, and good vibrato from a locked out pinky like this. Many years of sevick/shradieck taught my left hand to stay curved in action, both in lifting and lowering my fingers. Not everyone can curve their LH pinky because of their whole left hand setup. If the wrist is too far from the neck, they can't bring the hand around and support the pinky. It's good to at least start by strengthening the fingers and then looking at whole setup issues. This looks a little extreme-but I don't know what the base issue is for the student. I would probably try one ring per hand to start, so that the student isn't totally overwhelmed. This is a great tool my teacher (Carol Rodland) uses to help students keep a sustainable bowhold and is a reminder for folks who over-pronate their right hands. I am NOT a piano teacher, but his wrist position isn't helping here. We can see how the hypermobility in his fingers isn't going to be sustainable either. As a non-piano player/teacher, I'd be interested to hear how these work and if they're effective. I'm also a huge fan of bow hold buddies, especially for young children. This creates a pinky nest to help curve the pink, as well as provide a nook for the right thumb, especially if it locks out usually. They also make something called the "cello-phant" which looks interesting. 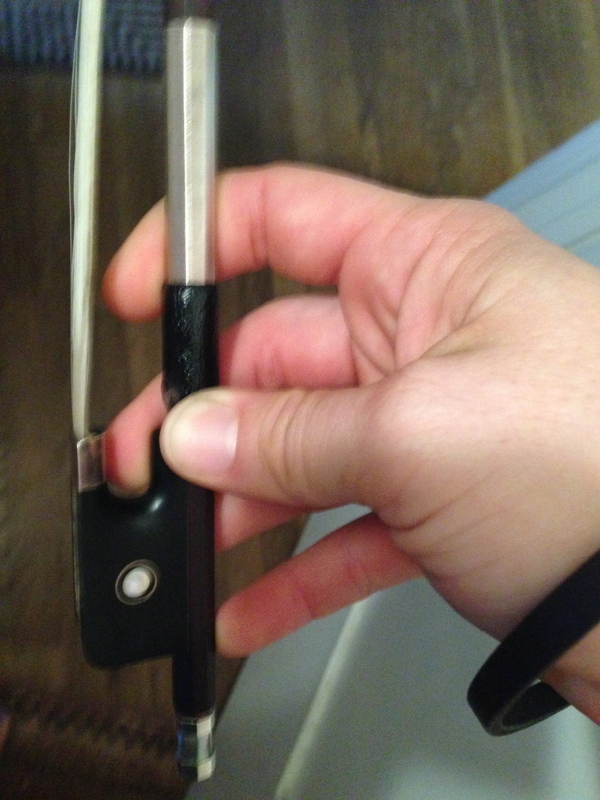 For flute, clarinet, etc., I've also seen finger slings/rings/ etc, that can help to train the joints to stay bent and start to strengthen the muscles. Also ask the student to look at how they type, text, hold a pencil, etc. If you can cultivate even a smidge of awareness in daily life, there can be huge transfers in a musical setting. The bottom line, is that continually locking out the joint puts strain on the joint, can lead to osteoarthritis, pain, and other issues, and that the surrounding muscles are usually weak and can't support the movement being asked. Some people live a full pain free life with hypermobile joints, others deal with osteoarthritis early in life, or are diagnosed with Hypermobility syndrome. Helping students (or yourself) can improve your performance and prevent future pain. Picture courtesy of CoreWalking- can you see how the left leg moves beyond perpendicular? The ligaments aren't telling the body when to stop moving backwards. Whether you know it or not, you probably have students, colleagues, and friends who are hypermobile, whether in larger joints or smaller joints. Hypermobility, or as we called it as kids, "double jointedness," is a joint (or joints) that move beyond normal end range. The ligaments (which duct tape bone to bone) are loose and don't offer feedback to the body to say "hey, stop moving here!" It means that the body doesn't observe normal end range for joints because it's not receiving feedback from ligaments. Hypermobile folks end up in all sorts of movement spaces, from yoga and pilates to crossfit and olympic weight lifting, and helping (and identifying) hypermobility can help your music students greatly. Notice how the standing leg (the right one) is SUPER hyperextended and the elbows are as well. This yoga pose manifests in many different styles, and in many permutations, but I imagine that in this case, the practitioner is hyperextended to make the pose "prettier" rather than respecting her end range and coming out of the pose a bit. Here's an image from 80gladstone demonstrating hypermobile elbows. When a student hyperextends the joint (left), they are no longer using muscular energy to support themselves. This is a problem in music, because we need muscles to support weight and help articulate keys. The most obvious example of hypermobility is in the knees. Jonathan FitzGordon recently did a post on hypermobile knees, and how they manifest in yoga classes, so let's take a look. This simple drawing above shows a knee that has locked and gone beyond normal vertical joint end range. Many people can hyperextend their knees-it's not uncommon. The risk is when you spend all of your time in this position (standing, yoga-ing, walking, weight-lifting) the body doesn't stop at the end range of the joint, your ligaments are overstretching (if they aren't already), and ligaments are not an overly elastic tissue. Many people with looser ligaments have always been that way- I remember little kids who could do full splits, lateral splits, etc, without a warmup, because they were just built that way. Now let's look at how that affects us in the Music and teaching space. Ouch! I definitely wouldn't want to load this joint in this position! 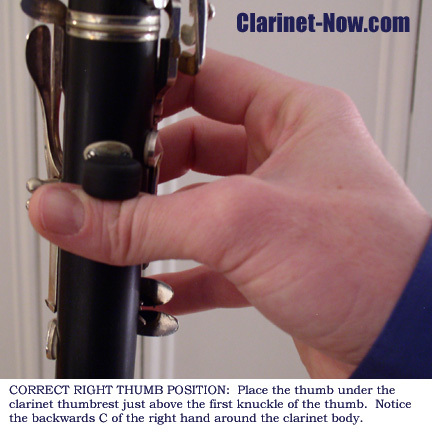 Yes, the right thumb is in the right "position" to hold the clarinet in terms of the thumb ledge, but it's not in a great position to hold any weight! We will all meet students and colleagues who are hypermobile in their hands, which often means that supporting an instrument, pressing keys, and holding a bow will be challenging in different ways. String players will be familiar with students who can't bend their thumb and hold the bow (their muscles are weak!) or who can't bend their pink on the upper side of the bow. 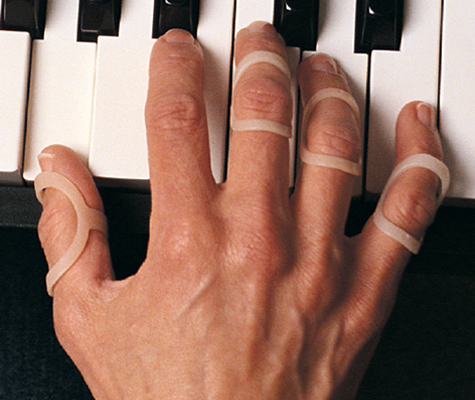 Wind players may be familiar with the double-jointed thumb, which can cause problems with supporting the weight of the instrument. Whether it's a flutist's stray pinky or a violinist's dubious bow hold, students of all ages and levels can have issues with hypermobility. My next post will give some suggestions for what to do with hypermobile students, or how to help yourself!